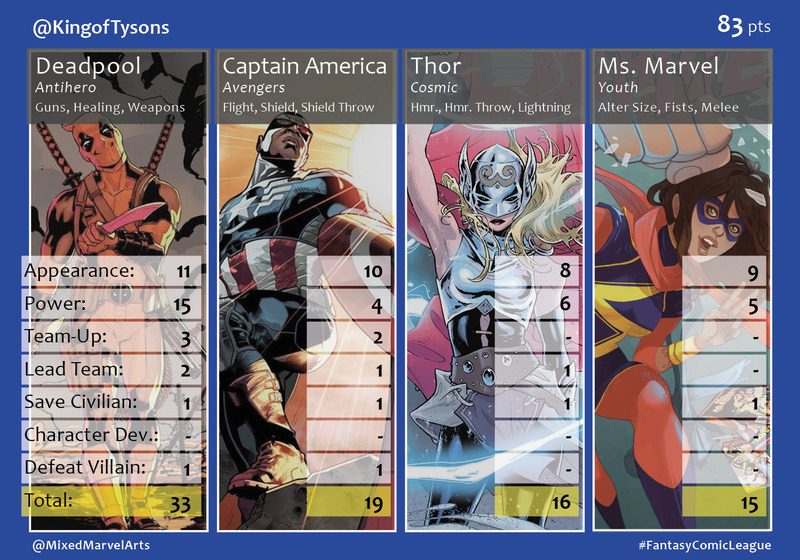 Iron Man continued to sore in the Fantasy Comic League and scored the most individual hero points for the second month in a row. 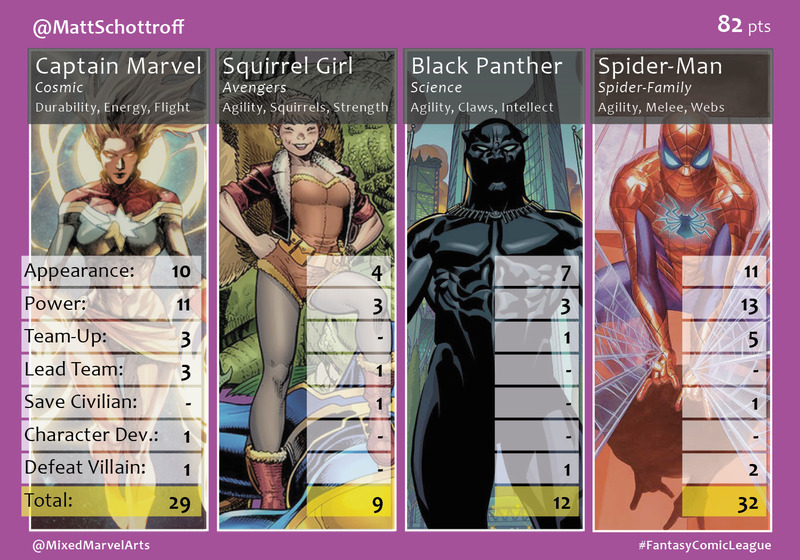 Thanks to the events of Civil War II, and a five-week month, Tony tallied a record-breaking 44 points – the most points scored by one character in a single month. Unfortunately, Iron Man’s heroic 16-appearance effort, and scoring at least one point in every category, was not enough for swampy, as a subpar showing from the Punisher brought his team down to a third-place finish. 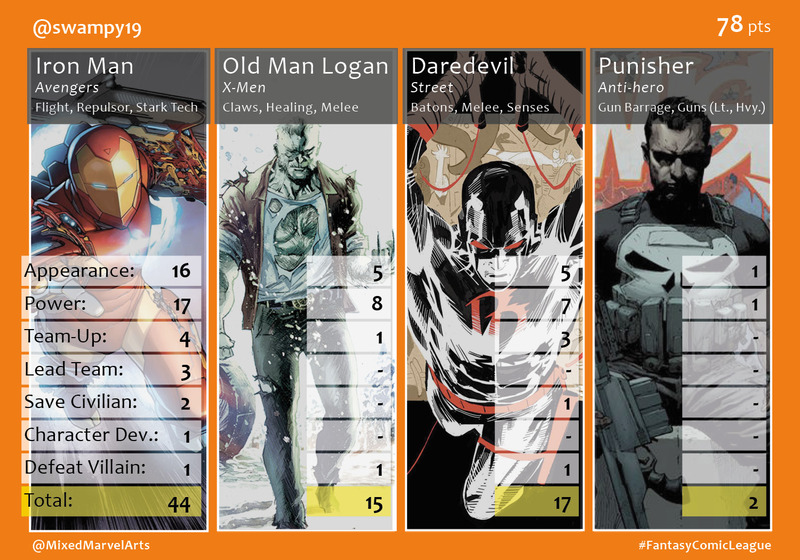 Brian’s typical trio of well-rounded, All-New, All-Different Avengers earned him a first place finish when led by Deadpool’s 33 points, which was a monumental score in its own right. 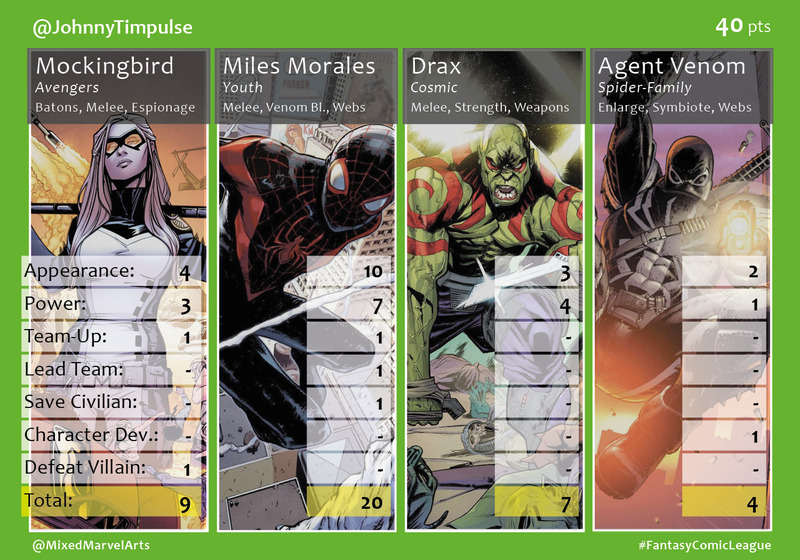 After finishing in last place in May, Matt drafted the dependable Spider-Man and benefited from his 32 points, slightly ahead of his surging Captain Marvel, 29 points. 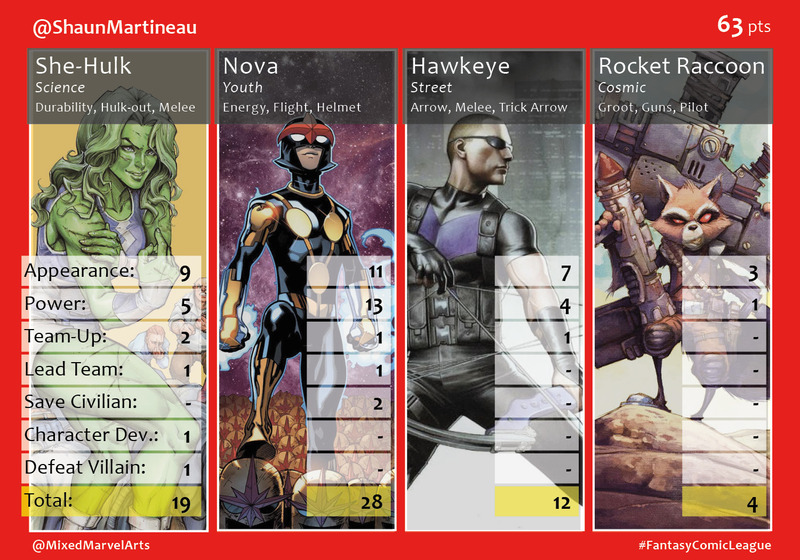 Shaun cobbled together a new team based around Nova, 28 pts, and She-Hulk, 19 pts, which proved good enough to beat Johnny’s typical roster of single-digit point-scorers.